We don’t hear about it often, but the Coast Guard also needs to recapitalize its inland fleet, WLI, WLIC, and WLRs. There are 35 of these. One entered service in 1944, another in 1945. The two newest entered service in 1990, but all the rest are much older. Two entered service in the ’50s. 23 in the ’60s, and six in the 70s. . Whenever we belatedly get around to replacing these, there is an innovation we might want to look at, high-lift flap rudders. These were recently used on a Jones Act Articulated Tug Barge (ATB). Reportedly it provides much improved maneuverability. 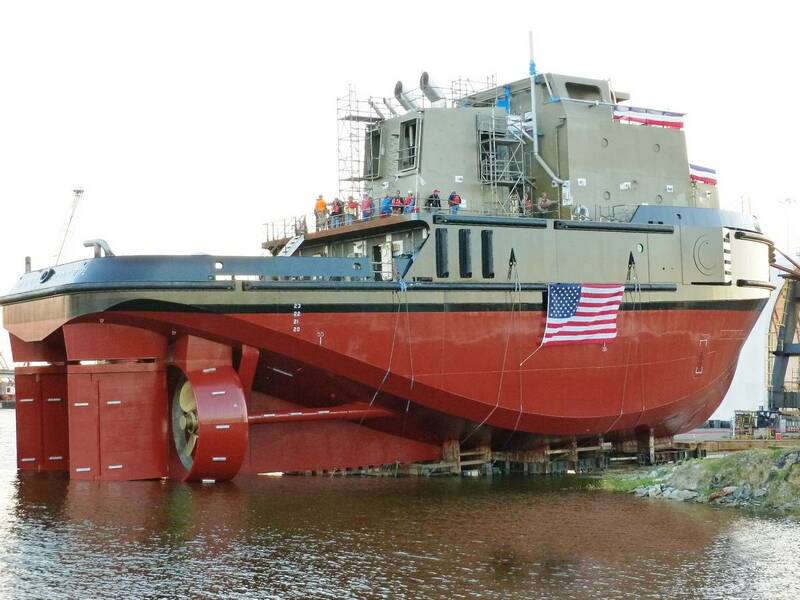 This entry was posted in Inland, Shipbuilding by Chuck Hill. Bookmark the permalink. Somewhere in the back of my mind we went to Congress for funding for this about 10 years ago and got some money. I wonder what happened to that? At one point we were working with the Corp of Engineers to come up with a standard design. Haven’t heard anything recently except a statement from the Commandant that they were old and will need replacement. .
Z drives would also be an upgrade to consider on any new vessels.